Study Proved “Unequivocally” that Fluoride Lowers IQ in Children … Wait What !!?? 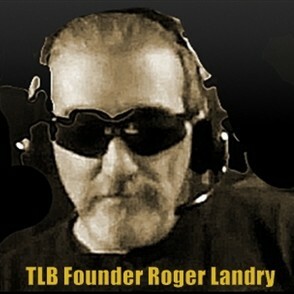 TLB intentionally digs up and re-publishes vital and pertinent studies, investigative articles and other such informative publications that are seriously (intentionally) overlooked by the powers that be … but vital to We The People in our ongoing struggles to live free and healthy lives. Over the years we have found some real gems. Below is one such piece of information, on an extremely vital topic. As is usual, this study was buried along with every other damning study ever released based on the absolute known dangers of fluoride on human physiology, with special emphasis on the brain and central nervous system. You would only have to drink a little less than a 12 oz. glass of water to get the same amount of fluoride you would get by swallowing just a pea sized amount of toothpaste. But if you swallow any more than a pea sized amount of toothpaste (who do you know that only uses a pea sized portion of toothpaste? ), you are instructed to contact a poison control center. REALLY ??? Where is the sanity in this … ??? Fluoride is known to be Highly Neurotoxic, so try to imagine the permanent damage done to infants and small children with still developing brains. Or even more heinous the increased damage to a developing fetus with a just developing brain! 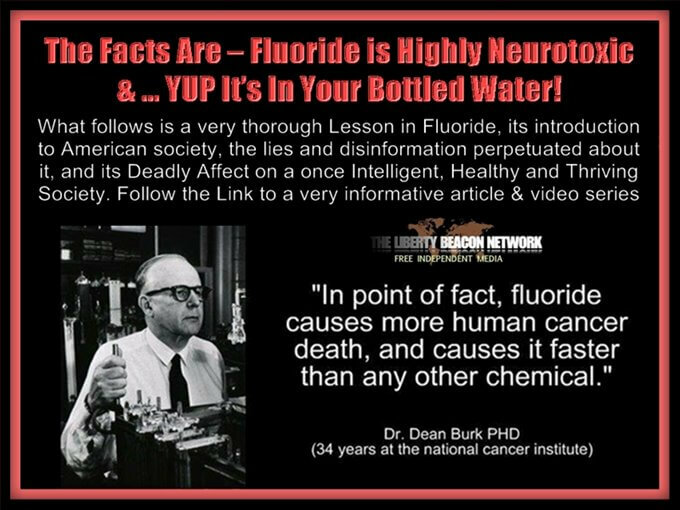 Also consider that Fluoride has the ability to effectively bypass an existing blood brain barrier … and facilitate the the passage of metals such as lead, mercury or aluminum from say … vaccines or municipal tap water etc…, across this barrier as well, allowing for brain damage. 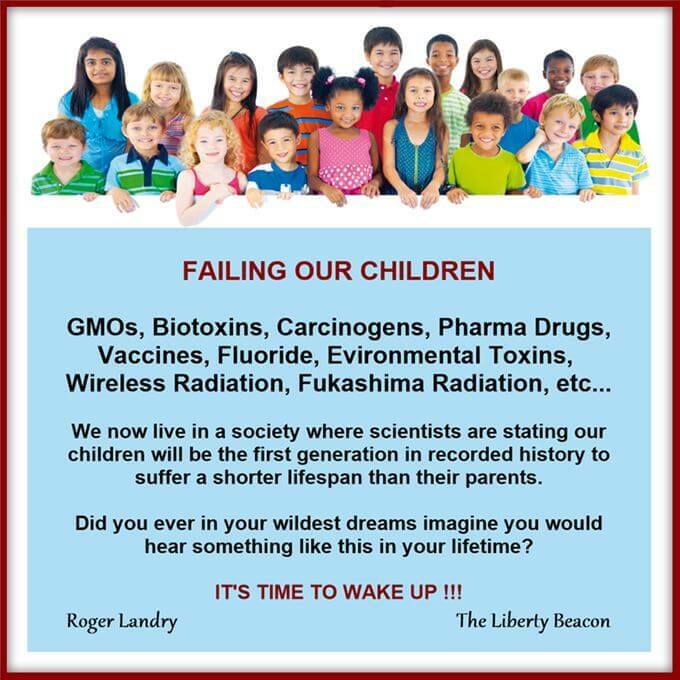 With well over three generations of water fluoridation in this country … how many normal lives have been stolen from our children? How many have died from cancer … that never had to? And all for the profit of companies selling massively toxic industrial waste to water companies for a profit, vs. a loss by having to properly dispose of this substance (expensive). How can a responsible government sworn, and mandated to protect us, overlook and facilitate total inaction on this information … Unless they are in fact complicit. In the video above … In typical MSM style, the reporter states that higher rates of cognitive damage occurs in areas where water is more fluoridated, than in areas where water is less fluoridated … What about as compared to areas with NO fluoridated water? No, you wont hear that … because it is striking! THE PHYSICAL DUMBING DOWN OF AMERICA! The study, which was published on July 20 in the journal Environmental Health Perspectives of the U.S. National Institute of Environmental Health Sciences, also called for further studies on the issue. While fluoride may cause neurotoxicity in animals and adults, not enough was known about the chemical’s effects on the neurodevelopment of children, the researchers said. Of course, the latest study is hardly the first to document the toxic effects of fluoride on the human brain. Even recently, after some two dozen studies documented the problem, scientists and experts spoke out about the dangers of fluoridation. “In this study we found a significant dose-response relation between fluoride level in serum and children’s IQ,” observed Fluoride Action Network director Paul Connett, Ph.D., after a previous study was released showing the same effects. In the United States, authorities have been fluoridating the water for decades, and very few proper investigations have studied its potential effects — especially on the developing minds of children. But opposition to the practice is growing quickly, with each new study adding fuel to the fire. A broad coalition of American attorneys, doctors, dentists, and activists has long demanded that authorities stop adding fluoride to the public’s drinking water. And like other recent studies highlighting the myriad dangers, the latest research — especially because it was published in a federal journal — has already been seized on by opponents of water fluoridation. Alleged dental benefits aside, other critics of water fluoridation oppose the controversial practice in principle, pointing out that instead of being used to purify the water supply, it is added to treat people in what amounts to the mass-medication of populations without lawfully required individual consent. Some experts even challenge the supposed usefulness of fluoride in preventing cavities. As evidence about the dangers of fluoridation continues to build, however, communities across America have been debating whether or not to stop medicating people through the water supply. More than a few municipal governments have already stopped the controversial practice altogether. But as analysts have noted, officials and much of the mainstream medical establishment have tended to ignore the growing amount of research exposing the toxicity of fluoride. The most recent study on fluoride relied on more than two dozen previous studies documenting the effects of the chemical on the brains. Researchers concluded that future investigations should examine information on exposure by unborn children and neurobehavioral performance. Activists hope the latest research may be the beginning of the end for proponents of mass medicating Americans through the water supply. However, considering the vast amount of research already available that has been largely overlooked or even concealed by public health authorities, it remains unclear whether any significant reforms will be forthcoming. About the Author (Attached Article): Alex Newman, earned a bachelor’s degree in journalism from the University of Florida in December 2007. Alex has been working for TNA as a freelance journalist and also owns a consulting firm. His frequent topics include economics, education, finance, banking, business and politics. Alex grew up in Latin America, Europe, and Africa, giving him a unique insight into world events. The attached article (Fluoride Lowers IQ in Kids, New Study Shows) was originally created and published by New American, and is republished here under “Fair Use” (see disclaimer below) with attribution to author Alex Newman and New American. The Facts Are – Fluoride is Highly Neurotoxic .. & .. YUP It’s In Your Bottled Water!